or one of your employees is fired, and you need to install new locks to ensure the safety of others who work there? That's why our professionals at All Area are here to serve your commercial lock and key needs. Allow janitorial staff or other after-hours employees access by setting up a master key system or an electronic key or card entry. If you occupy a building that has heavy traffic, you will also need to ensure that you are up to code with emergency evacuation requirements and exit door hardware. Our technicians are insured and ready to handle all of your corporate locks and keys needs, and we will show up when you need us most. When you move into a new building, the first thing any commercial property owner needs to do is have the locks changed or re-keyed since you can’t be sure exactly who has a copy of the keys. If you don't know who has access to your property's keys, the safest thing to do is to start with new locks and keys. Our Tampa Bay expert technicians are qualified and skilled to handle whatever situation that comes your way regarding locks, keys, or security. When you lose a key, your employees find themselves locked out of the office building, or you break off a key inside the locking mechanism , give us a call and we’ll be on our way. Our technicians are also knowledgeable and always ready to discuss commercial security systems. If you are a business owner or operate apartments or condominiums to rent or lease, you are already familiar with what owning a commercial property entails. Businesses that you manage, and our knowledgeable professionals are experienced in providing all of the locks, keys, and security needs for businesses nearby and anywhere in or around Hillsborough or Pinellas Counties, whether in a high rise building on the lake-front bay or on land located in the outskirts of Tampa. Regardless, when you own this kind of property, you have more at stake to keep safe than just the building itself. You most likely have employees or tenants who occupy these buildings. You need to keep them safe and secure by making sure your locks are up to date and working well and knowing that you have someone from our professionals on call 24/7 to come and handle any lock and key situations that may arise. When you are in charge of a property, it’s time to establish a working relationship with a qualified and insured professional. This will be one relationship you will never regret, since you will have the assurance knowing that someone who understands all of your security needs and codes that comply to regulations and laws for businesses, apartments, condominiums, rental units, and high-traffic areas, is always on call to immediately come and help with your locking and security needs anytime, day or night and even on weekends or holidays. The very first thing you need to know as a property owner, is that when you first occupy a commercial space, a renter leaves, or an employee quits or gets fired, you will want to make sure your locks are fresh. It's important to gain control of the locks and keys from the start. You will want to ensure that you and your employees or tenants are the only ones who have access to the keys that open the doors and locks they rely on to keep them safe. Accomplish this by either having them re-keyed or installing brand new locks throughout the building, but especially on the outside entry points. Some companies prefer using a key-less, electronic code system that only will require changing codes when necessary as well as minor mechanical maintenance upkeep. Either way, it's good to know you can call on our trusted technicians for your commercial needs. What happens when an employee, business owner, or tenant gets locked out? Call us, and we will be there quickly to get the door opened up and make a duplicate key on the spot. We understand that opening up an office or apartment door holds higher security issues than opening up other typical locks since your entire livelihood is contained within the walls of your company, so we ensure that all proper identifications are established before any work to open the lock can begin. Once, we are assured of your identity, we will have the lock opened up in no time leaving no damage to the locks or door. Our trusted company has several years of experience behind our name that Tampa Bay area locals trust. We have established confident, quality workmanship among commercial services in the area. Our work is backed by satisfied customers throughout Hillsborough and Pinellas Counties. We take your security seriously and provide top-notch safety locks for business enterprises in and around Tampa. We strive to be the best in the industry at excellent workmanship, knowledge, skill, and afford-ability. We offer state-of-the-art locking systems and services to keep you safe in a corporate industry, understanding codes and requirements even down to what safety doors are needed and intended for high-traffic areas or commercial buildings. Our knowledge of locks and keys goes beyond the front or back door lock. We also are knowledgeable and skilled to recommend, install, and service the best security systems and safe locks for your place of business. We are able to open up a safe that has become jammed or one to which you have lost the combination or keys. We also repair faulty safe and cabinet locks. Our services are affordable and reliable. We install high security locks in offices, cabinets, doors, and gates that add to the security of your important papers and office equipment as well as the employees or tenants inside. 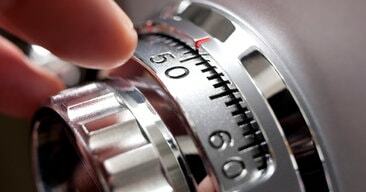 When your property requires more than an average lock, we are able to fit your facility with high security locks. Our knowledgeable staff will also be happy to set up a master key system to streamline juggling a number of keys on one big key chain at once and to give you complete control over the use of these keys. We and our staff of trained technicians are rated with the highest marks as a top-notch commercial locks, keys, and security company serving Tampa. We understand all of the locks, keys, and security needs of the business owners, condominium and apartment managers across the southeast Florida region. Our technicians want to establish a working relationship with you for all of your commercial property needs. We are known as the fastest to respond in an emergency to provide you with the finest workmanship at affordable rates.